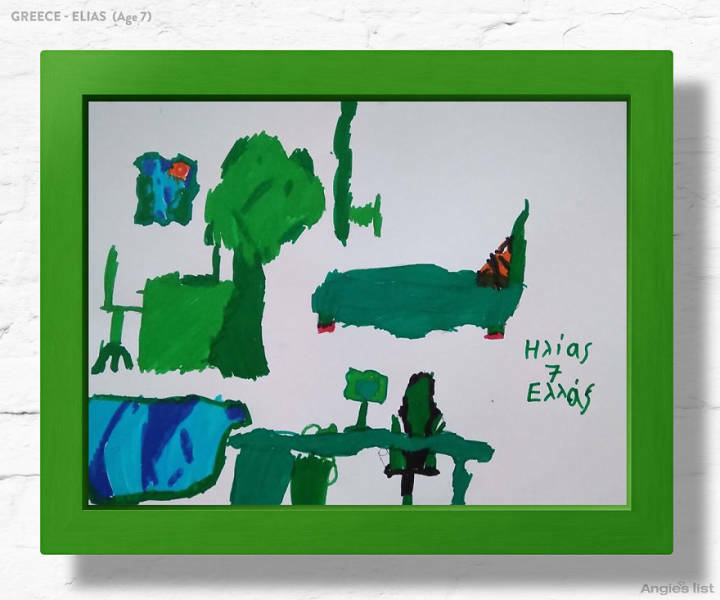 This forest room belongs to Elias. It is a little bit theatrical: the main idea is it is made of logs, plants, tree. An oak tree with squirrels, a small pond with fish. 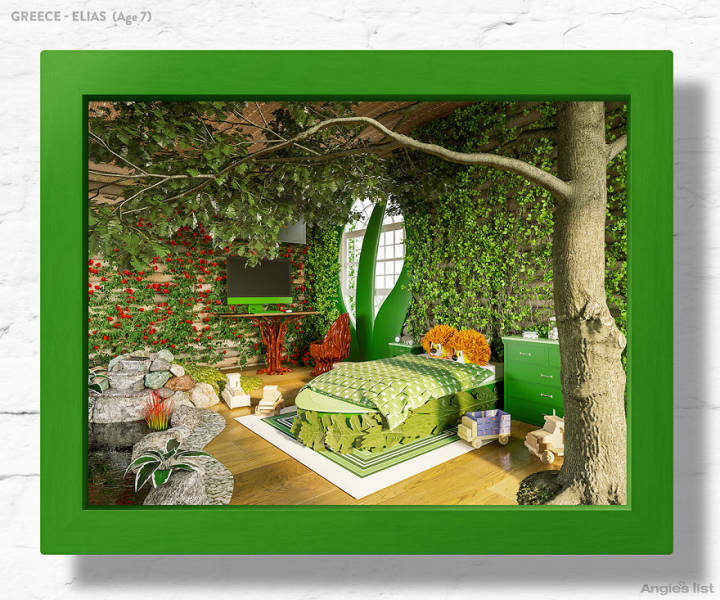 The bed is in the shape of a leaf with a tiger head pillow, accompanied by a window with a frame resembling plants. To give the room a modern twist there is a log desk, tv hanging from the roof, and computer. What is his favourite colour and why? Mainly red and blue (because of Spiderman uniform (! ), red especially for action/violence and blue for the sky). Yes, I know it sounds a little bit silly and the forest room has no one of these colours either :) So, when I asked him about the green colour, he also mentioned he liked it, it represents something friendly and serene for him. What does he want to do when they grow up and why? He would like to have a nut shop having living squirrels as friends with him. He loves squirrels and nuts, too. 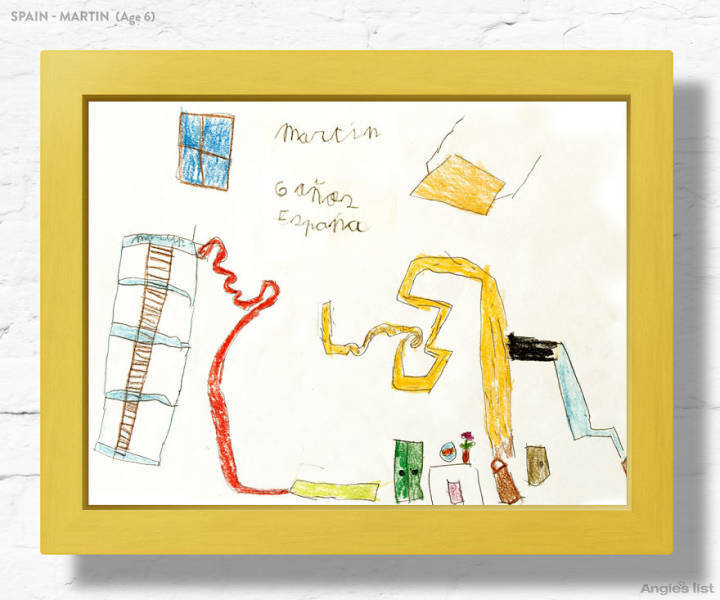 He would also like to be an artist, since he likes to draw every day. What’s his favourite game or activity and why? He loves computers and video/mobile games, because he can play characters in various worlds or different kind of games. What’s his favourite food and why? Eggs (because of the yolk taste), chocolate (because it’s extra sweet) and nuts (just that). What is her favourite colour and why? She loves 2 colors – cyan and violet. She loves sky and waterfalls because they are cyan. And violet is a color of magic, because wizards are usually in violet. What does she want to do when they grow up and why? She wants her future job to be connected with toys. What’s her favourite game or activity and why? She happy when she drawing and also she loves to play chess. What’s her favourite food and why? Any additional features of the room? 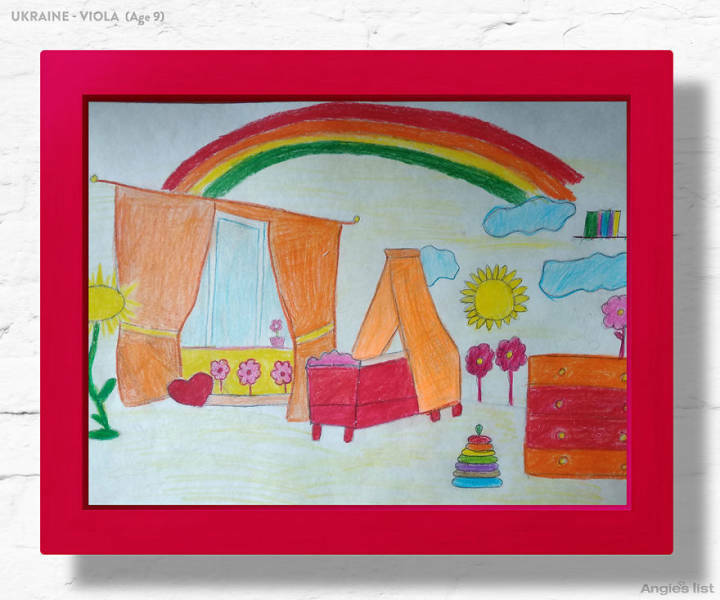 She imagined that the wall with rainbow, sun and clouds can come alive and she can go there and interact with all of those things inside. Inya likes nature and outdoor activities, as you can see flowers on the bedsheet, grass around her bed, and a swing/slide close to the bed. She loves oval shape and that’s the exact reason why the bed, pillows, and mirror are oval shaped. 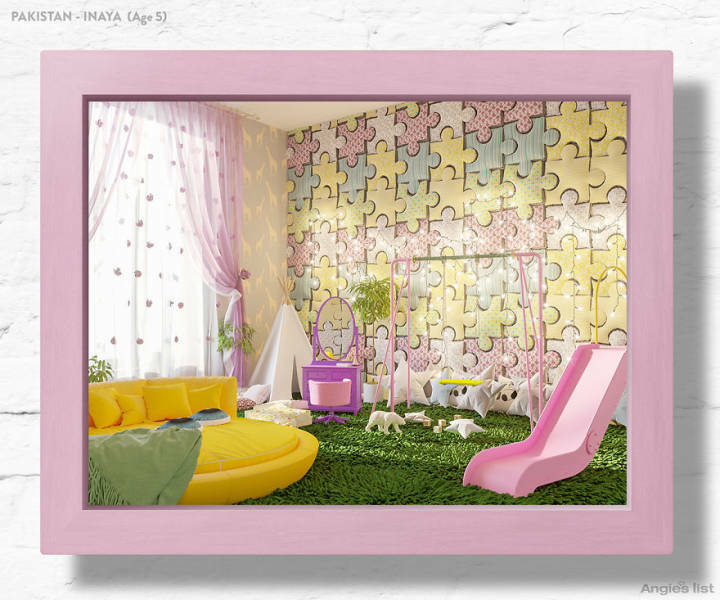 The little designer asked that her walls be like puzzles and imagined the pillows to be the bed’s eyes. Yellow, because of its shine and brightness. Wants to become a doctor (because her mother is a doctor). Painting, because she loves colours. What’s their favourite food and why? Noodles, french fries because of their yellow colour. She wants her walls to be like puzzles. She loves oval shape and that’s the exact reason why the bed, pillows, and mirror are oval shaped. She imagines those pillows to be the bed’s EYES. 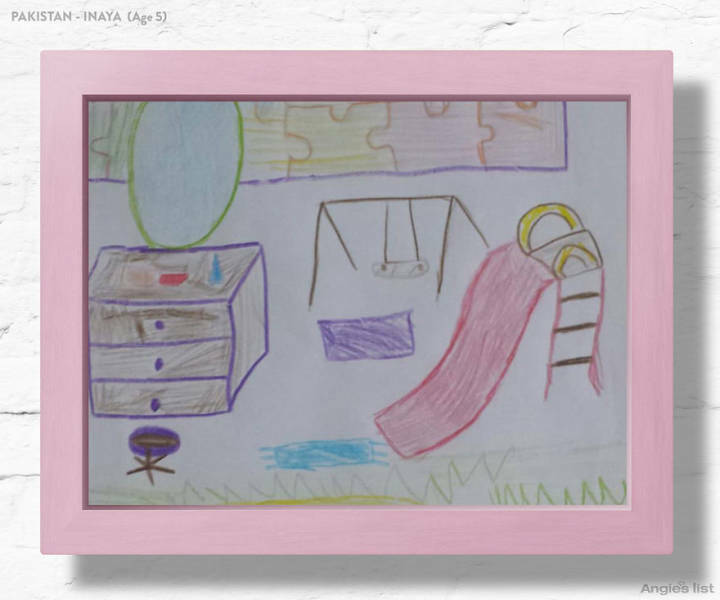 Also, she likes nature and outdoor activities, as you can see flowers on the bedsheet, grass around her bed, and a swing/slide close to the bed. She wants to have all cosmetics in her dressing table. 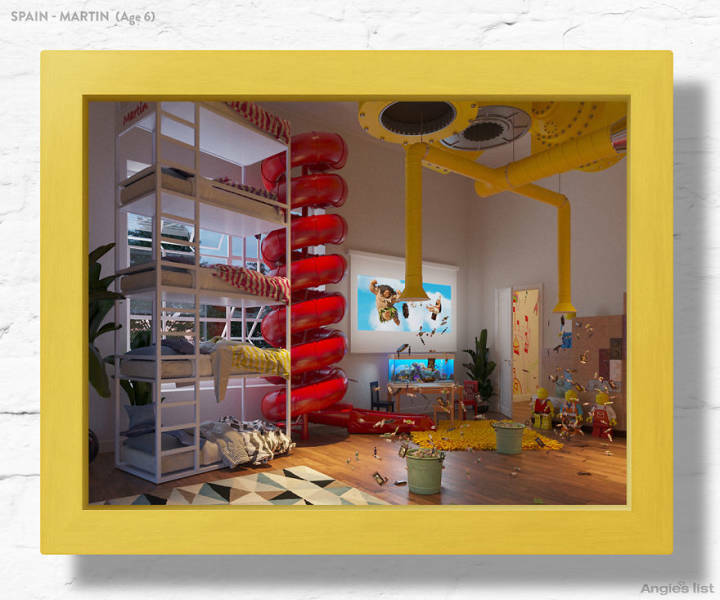 Martin asked for a “5-story bunk bed so it looks like a skyscraper” so he can invite a lot of friends over (but the top bunk is his, note it has Martín written on it). Rails were a must so they don’t fall and you climb up the ladder with s spiral slide exit. There’s a soft mat at the end of the slide. 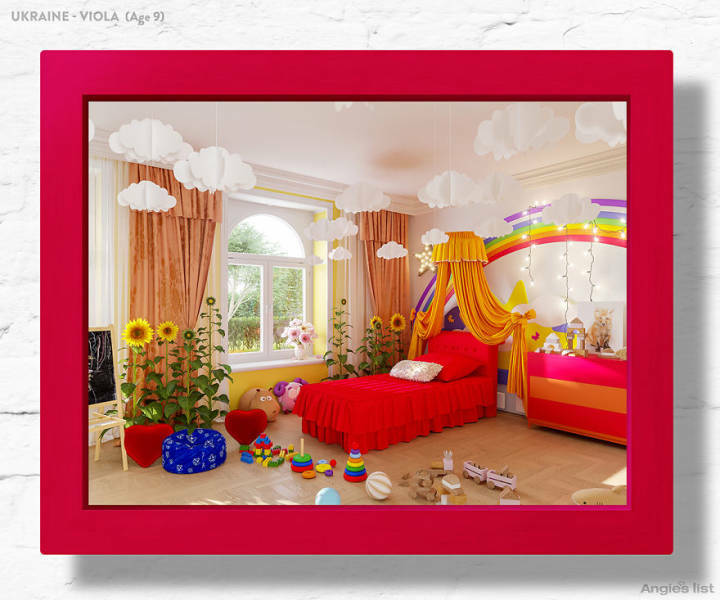 It was requested the room have a big window, a table, a huge cinema screen, a door to the bathroom, a closet for legos, a candy machine, and a chair On the table live a fish and a plant. Red because I like it, it’s the color of firefighters. What do you want to do when they grow up and why? Archaeologist, Paleontologist. I like dinosaurs and going to the countryside to look for them. What’s your favourite game or activity and why? To play adventures with Lego blocks or build anything with them. And run little cars around the roads. What’s your favourite food and why? 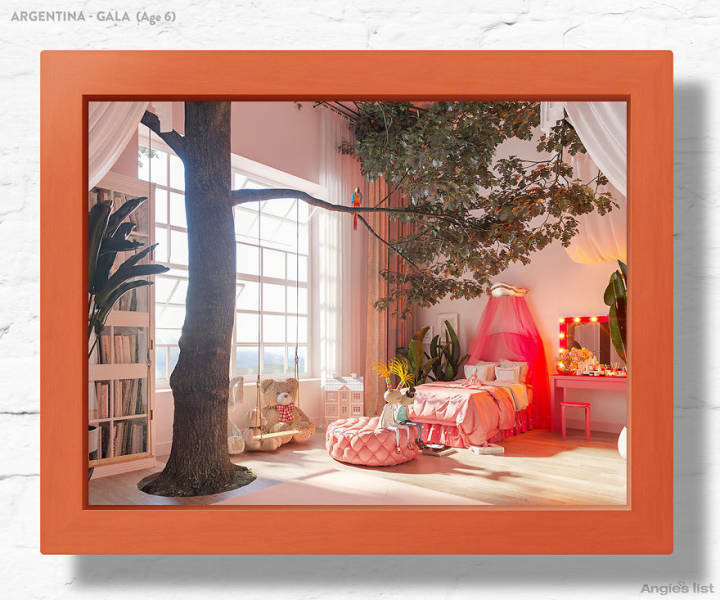 Gala’s room is a whimsical mix of nature and a bedroom fit for a princess. When you open the door you will find a tree. In the tree lives a parrot. The parrot can go out through the window and then go back to the room. Two swings are hanging from a branch of the tree, one is for Gala and the other is for her little brother Isidro. Also, an aerial silk is hanging from the ceiling. There is a big mirror with lights and lots of makeup, a bookcase full of books and real flowers, and a coral pink bed where her cute penguin doll sits. Fuchsia, it makes me happy. Hairdresser, I like when the people look pretty. Play mom, because we can do as if we were travelling. Spaghetti with red sauce, it tastes really good. “Wooow!! What? 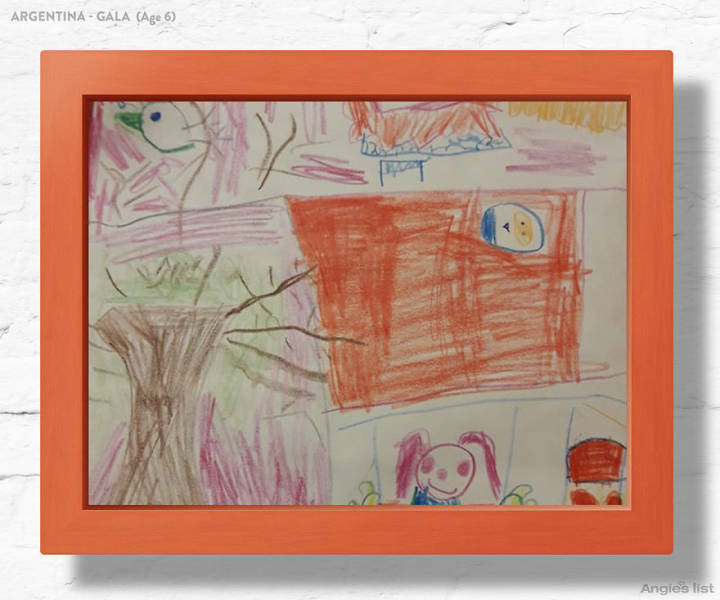 I love it!” was Gala‘s response when she saw her room brought to life. She was ecstatic and hopes to save up enough money to get the room for real one day. 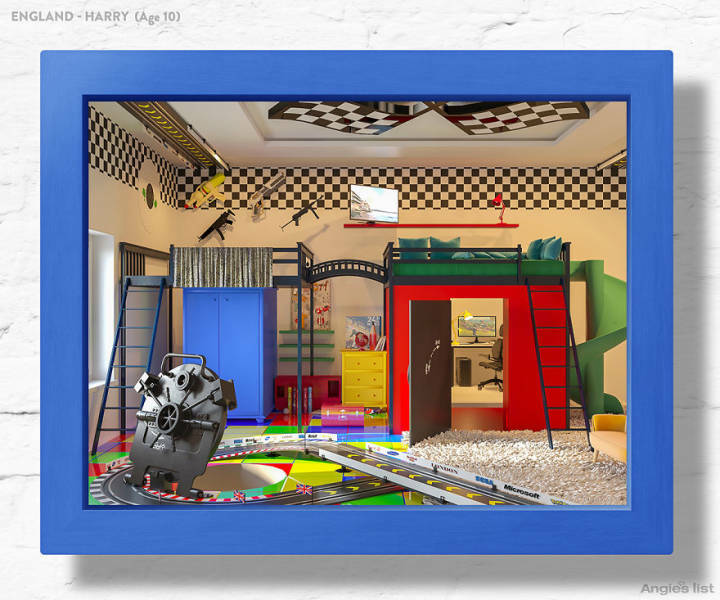 Futuristic decor meets the racetrack for Harry’s main bedroom, which has an LED floor and a fake fur carpet. There is a hot wheels track that circles the room. For added comfort, the room has a purple and green sunken couch with heated seats and with an orange neon floor. The bed is sat on a platform, which connects to another platform via a wooden bridge, this platform houses a shooting range. The bed platform can be accessed by a ladder and can be exited down a slide. Underneath the bed platform is a gaming room. Even further beneath hides a secret hatch leading to a bunker, in this bunker is dress up clothes, fake guns, and important articles for his SWAT team. Wants to be a SWAT officer or racing car driver. Fav food is chocolate as it melts in his mouth. 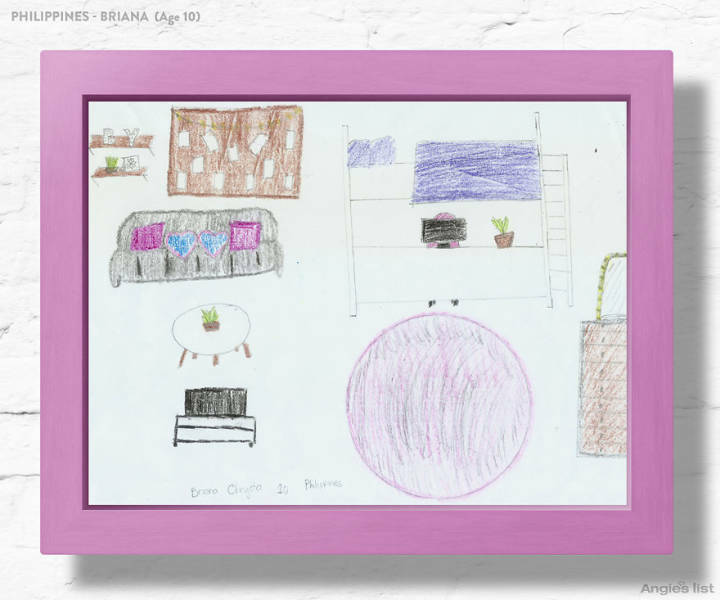 Delicate accessories and modern furniture make Briana’s room a unique and dreamy bedroom. The walls are painted lavender, her favorite color. As for the bed it is located near the wall but still has some space to fit a banig (handwoven mat) between the bed and the wall. It is a bit big and can fit 3 people – perfect for sleepovers. She wanted the extra space for the mat to fit more people for when she hosts her friends. The bed frame’s color is white. Under the bed, you’ll find her computer table, computer and a chair under her bed. She’ll be using the computer for school assignments, playing games and watching movies and videos especially of her favorite K-Pop music idols. A vanity mirror was placed on top of her wardrobe closet. The lights on the vanity mirror can be changed to white, warm or a combination of the two. To cozy up the room she has a soft and fluffy rug. 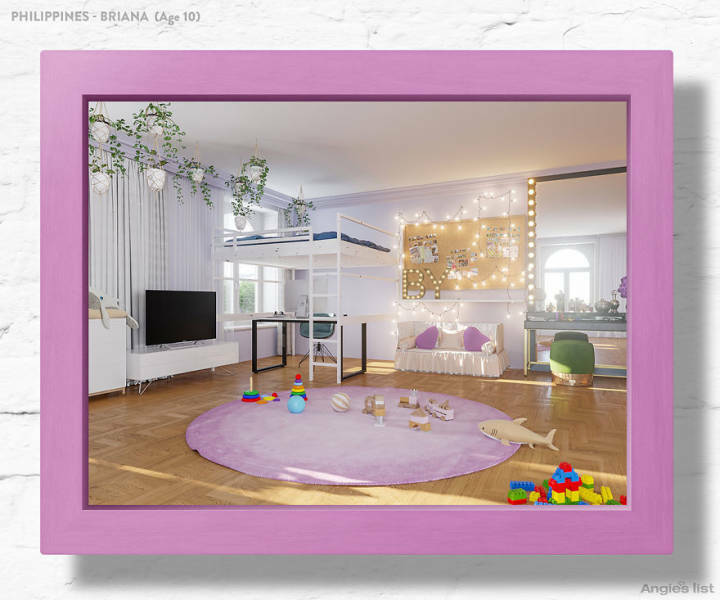 Briana wanted a room where she could entertain herself so she had the television placed on top of a rack which will be used to store the remote, her accessories, board games, blankets, and pillows. Being able to house all of her friends was a top priority so there is a sofa bed that can fit two people. Fun accessories were placed around the room, for example, on the top shelf are the letters B and Y. B is the first letter of her first name while Y is for her nickname. These letters also light up. The letter B is color white while the Y is lavender. The cork board is adorned with fairy lights. The lights colors alternate every bulb between lavender and white. Just like Christmas lights, the fairy lights have speed settings of fast, slow and steady. The board will be used to pin photos since she likes to take selfies and photos of her family. Lavender because it looks cute. 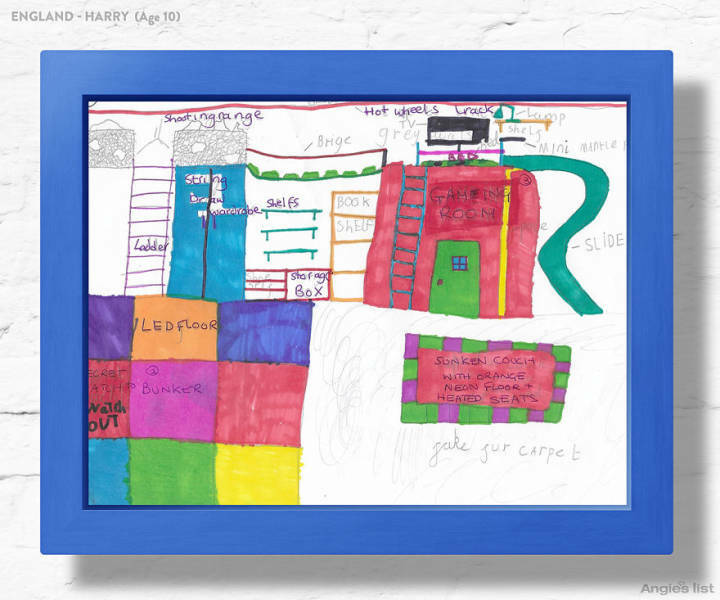 She wants to be an interior designer when she grows up because she wants to design and decorate rooms. She enjoys helping her sister clean up their bedroom because she gets to organize their things and decide where put their stuff. She likes to go Roblox to play a wide variety of games. While she doesn’t have a favorite game inside the platform, she feels challenged playing time trial games and therefore favours games that have time limits. Her favorite foods are fruits and vegetables. She likes fruits that taste sweet and sour at the same time such as strawberries and grapes. Her favorite vegetable is bitter gourd (also known as bitter melon or ampalaya in Filipino) especially when my mom cooks it because the bitter taste becomes very subtle. Any additional features of the room? The ceiling of her dream room is white when the lights are on. One won’t be able to see the glow in the dark stickers during this time. However, these stickers light up as soon as the lights are off. The stickers on the ceiling include stars, moons and unicorns. In the middle is a single butterfly that moves in a circular motion.